Riley Dutton, a web developer with more than 7 years experience creating powerful user experiences. Apparently, he enjoys spending his free time creating virtual tabletop software. He lives with his lovely wife, Lindsay, his sons, Noah and Grant, and their yappy dog, Duffy. You can reach him at riley@roll20.net or on Twitter @rileydutton. With Nolan T. Jones, a writer and comic creator who handles the PR side of things. He intends to conquer the world through the written word, although the exact details of the plan still remain a mystery. He and his fellow Jayhawker wife Cayla reside in Las Vegas, NV with a small array of pets. You can best reach him on Twitter @nolantj. And featuring Richard Zayas, an entrepreneur who helps us stay in business. He is resolved to helping his friends achieve their dreams; his are still up in the air. He currently resides in Washington, D.C. with his wife, Ali, and their fat cat, Zelda. You can reach him on Twitter at @richardzayas. Steve Koontz, our Lead Developer and first additional helper in the land of programming and development. Steve has a passion for RPGs and has been using Roll20 for many years -- in fact he was one of the first 10,000 users! Steve endeavors to assist users and improve the program on a daily basis, and his input and ideas have lead to many of the wonderful features you use during your games. Adam Koebel, resident Games Master - Adam can be found all over our Twitch and YouTube accounts, creating fantastic role-playing sessions for your enjoyment. Outside of Roll20, Adam is the co-creator of Dungeon World, a popular Twitch/YouTuber - he GMs RollPlay's Swan Song and Mirrorshades, and has a ton of content on his YouTube and Twitch channels as well. Phil Behrenberg, the second addition to the Developer Team - Phil comes to Roll20 from Northrop Grumman, a US Defense Contractor - where he also worked as a web developer. When Phil isn’t playing video games or DMing his now year and a half long Roll20 campaign, he is most likely snowboarding - taking every chance he can get to head to the mountains. Kristin Carlson is Roll20's Quality Assurance Manager who is out to catch all the bugs that can be found on our platform. Long before she was hired on, Kristin became a Roll20 forum moderator shortly after launch in 2012. She is also the creator of our 3D dice models, authored several of our video tutorials, and was responsible for many of our official 3rd party module conversions. She is a voracious video game enthusiast and sporadic artist who has an unhealthy dedication to technical documentation. Jeff Lamb, a member of the Development Team, has an avid addiction to fixing things and solving problems--drilled into him from a lifetime of studying Physics and Mathematics. Outside of playing video games and spending thousands of hours in Roll20, Jeff likes to build computers for him and others to do the aforementioned hobbies. He also enjoys singing and playing a variety of musical instruments on occasion. The earlier days of Roll20 couldn't have functioned without the tremendous help from a team of volunteer community moderators. These are the folks who you can thank for making sure that we were made aware of issues, and bugged us to get them fixed. All of these individuals have left a lasting impression - we appreciate the work you did. Pat S. for his quiet but confident handling of a myriad of issues. "The" Aaron for his expert-level API knowledge and technical support assistance. GenKitty for her caring attitude - following our forums CoC with the utmost kindness. KeithCurtis for his amazing handling of bug reports and helpful attitude in sharing tips for everyone! Franky for his expert Bug handling! Gold for his vast knowledge of our system and helpful attitude. Zachary Cross for his invaluable early (and current) aid in taming the community forums. Ken Bauer for his support and moderation skills, as well as uncanny ability to buy everything on the Marketplace even though we try to give it to him for free. Eric Dalquist for his moderation aid and coding prowess, including daunting testing tasks and regex requests. Eric has also worked to greatly improve the Roll20 dice engine, including adding support for numerous additional dice mechancis. Gauss for his tireless efforts to leave no plea unanswered on the forums. Joshuha Owen (the original creator of Tabletop Forge) for his efforts in improving Roll20, especially relating to Google+ integration (among many other contributions). Sarah A. for her timely help and support of the Roll20 Community -- yay! Marie A. for her LFG handling skills, thanks for helping us keep our standards elevated! Dylan Todd for his amazing work creating our beautiful logo. Chris Clouser (a.k.a. Mock) for his helpful advice regarding the dice rolling mechanics of the incredibly large number of role playing systems that exist in the wild. Tristan Judice for being our very first Roll20 intern. Going on to do great things! The following art and other assets are included by Roll20 for personal, non-commercial use inside of your campaigns. A set of status effect icons which you can use from the token marker panel, created by Lorc and used with permission. Achievement Badges The achievement badge icons were created by Lorc and Delapouite and used with permission. A great set of tokens that cover many of the most-used types of monsters and PC classes in fantasy roleplaying games. Devin also has additional tokens for sale on his website, which you can drag and drop to upload to Roll20 and use in your campaigns after purchase. This is a great tileset that features everything from walls to floors and even details like hanging lamps and candles. You'll find it by searching inside the Art library for keywords such as "wall" or "candle". Find more of Jonathan's great work at his website. Roll20 features a powerful web search that automatically searches the web for art assets from many different online sources. Credit is given above the image in the results view for each of the assets. We do our best to only find assets that are released for free personal use, but if you find an asset that's been included by our search engine by mistake, please let us know. Roll20's Jukebox feature lets you find music to use during your play sessions. It includes music from Tabletop Audio, Kevin MacLeod, BattleBards, and from Fanburst. 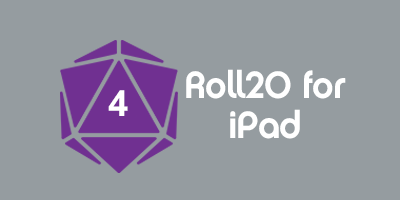 Roll20 uses the excellent "Art's Polyhedral Dice Font" from Skullduggery Press to display dice icons throughout the app. You can read more about this font at their site. Roll20 couldn't exist without standing on the shoulders of giants. The following open-source and third-party projects have helped make it a reality. Please note that this is not an exhaustive list, but we wanted to especially recognize these projects that make us tick. Open source powers the web, and we thank all of the programmers who take time out of their busy schedule to make the world a better place. This page was last modified on 12 March 2019, at 17:00. This page has been accessed 58,383 times.